Building codes and regulations are changing—slowly—to accommodate systems that support the capture and reuse of graywater and blackwater. Water is omnipresent in Virginia Beach, Va., where the Chesapeake Bay meets the Atlantic. Due to rising sea levels and land subsidence, sunny-day flooding during high tide is common here and in surrounding towns, stressing the region’s water utilities. But the Brock Environmental Center is stepping in to help. 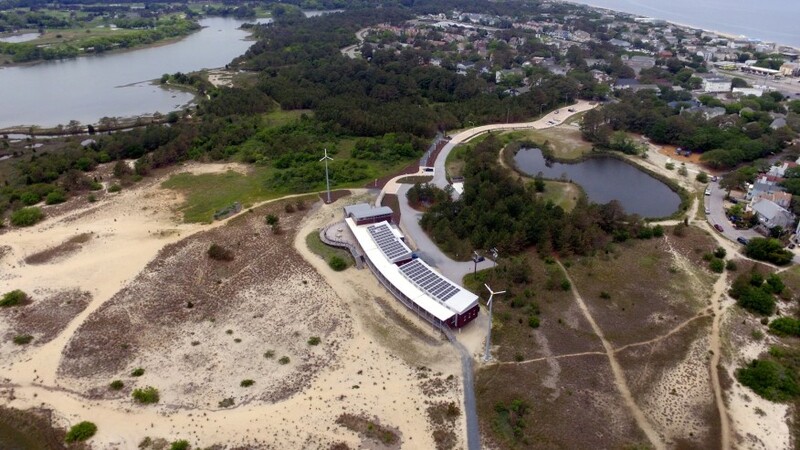 Completed in 2015, the 10,000-square-foot facility for the Chesapeake Bay Foundation’s (CBF’s) Hampton Roads office and conference site sources, purifies, and reuses its own water in a closed-loop system. Excess water cleaned by the center is being used by a local brewery to create its Rain Barrel beer. Water management is a critical component of resilient design yet building codes and regulations typically assume a centralized, utility-provided water delivery and wastewater collection. Introducing decentralized systems to capture and reuse water has traditionally resulted in a regulatory quagmire. The good news is that codes are changing to accommodate decentralized systems. Since 2012, when ARCHITECT last reported on water reuse systems, some municipalities passed important regulations to govern the design, permitting, and safety of graywater reuse systems. In fact, the city of San Francisco now requires any building 250,000 square feet or larger to install and operate an onsite non-potable water system to treat and reuse available graywater, rainwater, and foundation drainage. Seattle also recently adopted a rainwater capture and reuse mandate for large buildings.